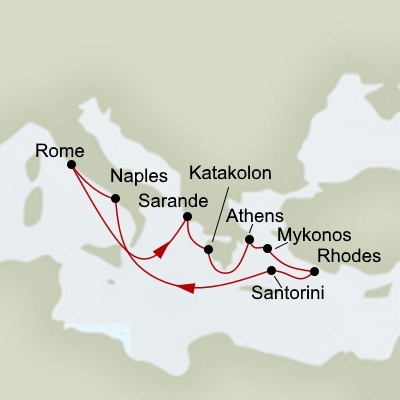 Short Cruises to the Greek Islands depart from Athens, Venice, Istanbul and Rome. Take your pick from the any of these amazing European cities visiting some of the most beautiful places on earth. 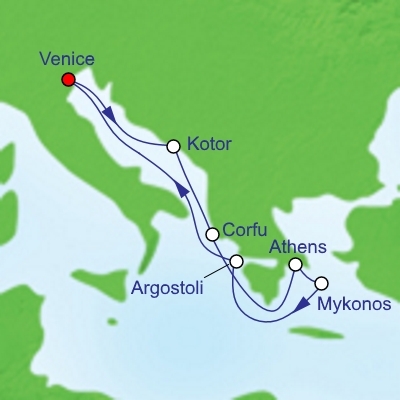 Popular Cruises to the Greek Islands include stops within Turkey (Istanbul), and Italy (Venice, Rome, and Naples). 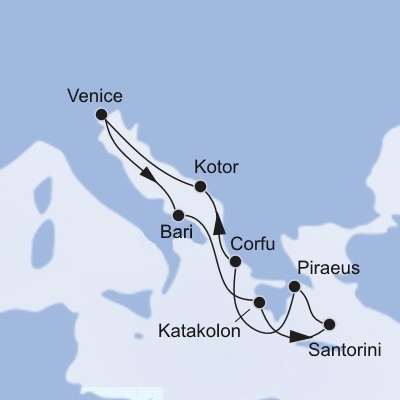 Our large selection of Cruises to the Greek Islands may have you stopping in a number of these popular destinations. It depends on your mood really? Wander the streets of the island villages, dine in a local Greek eatery, or simply lay back on your beachside sun lounge. One of the most beautiful of the Greek Islands is Santorini where a clifftop of white wash stone houses, shops and restaurants overlooks the stunning Aegean sea. If you’re young, or young at heart – you may want to party on Mykonos Island’s famous Beach Dance Parties. Gyros, gyros, gyros. Did we mention Gyros?? Traditional Greek Style Souvlaki with Chips. Yes Chips. Greek Salads, Dolmades, Char grilled meats and seafood. 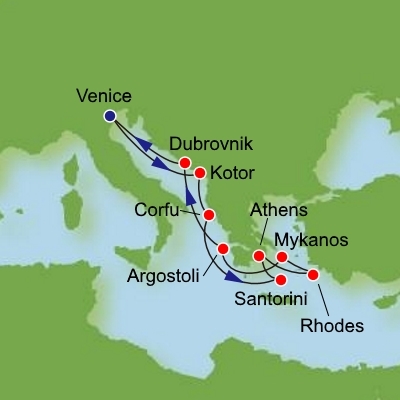 Sample a shot of Greek Ouzo – or why not buy a bottle! 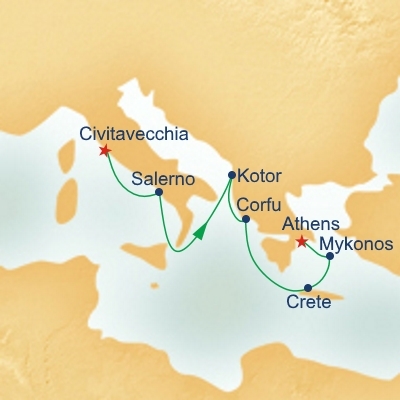 We have a number of discount Cruises in the Greek Islands on sale from under $2000. 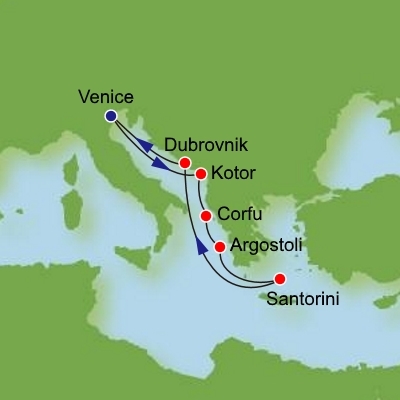 Don't hesitate, you could be off on the cruise holiday of a lifetime!